Canada Fast Track Work Programs - Canada Immigration and Visa Information. Canadian Immigration Services and Free Online Evaluation. We are currently accepting requests from foreign nationals seeking to live and work in Canada on an expedited basis for immediate full-time employment in a number of occupations. Our FAST TRACK IMMIGRATION Full-Service Relocation (FSR) program is a unique and comprehensive relocation program that can, in many instances, enable you (and your immediate family) to relocate to Canada within a delay of approximately 6-9 months from the start of a mandate with our law office. 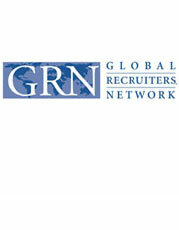 In addition to being one of Canada’s foremost Immigration Lawyers, we are independent franchise owners of one of the largest and fastest growing professional staffing and recruitment enterprises in North America known as Global Recruiters Network: www.grnmontreal.com. We have the expertise and the resources to help you realize all your settlement objectives. If you are considering relocating to Canada and you wish to participate in one of our Fast Track Work Programs, kindly review our current occupations list by clicking on any of the following links. If your occupation does not appear in the following list, we invite you to complete our online questionnaire to verify what programs may be available to you.